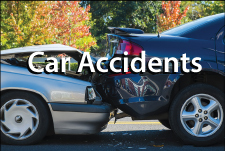 When two vehicles crash head on, it is usually the result of one vehicle crossing a center or median or a driver traveling the wrong way in traffic. Head-on accidents can be fatal, or they can result in life-altering injuries that require extensive and ongoing treatment. In the aftermath of a head-on collision, it is important to safeguard your rights as a victim. You can trust your legal claim to the lawyers at Chambers & Noronha. Our Santa Ana law firm handles personal injury and wrongful death cases throughout Southern California. Our attorneys have a reputation for being aggressive advocates for our clients in the courtroom. Each attorney has tried numerous cases, positioning them well to represent your claim at every phase of the legal process. Head-on crashes can be the result of unintentional moves into oncoming traffic or intentional actions, such as passing a slower vehicle on a two-lane highway. Although both scenarios yield similar results, the specifics of each claim can vary greatly. It is important to work with a legal team that understands the intricacies of each case and varies the approach accordingly. At Chambers & Noronha, we investigate each case thoroughly in order to build the strongest claim possible for our clients. As your attorneys, we will diligently evaluate your case to determine the potential risks and rewards of every strategy, including if it is in your best interests to litigate your case. Call us at 714-558-1400 to discuss your claim. Or you may send an online message using the form on this website. Initial consultations are offered for no charge and with no obligation. There is no legal fee unless we obtain positive results for you.